Illness or frailty can make everyday tasks such as medical appointments or grocery shopping a challenge. 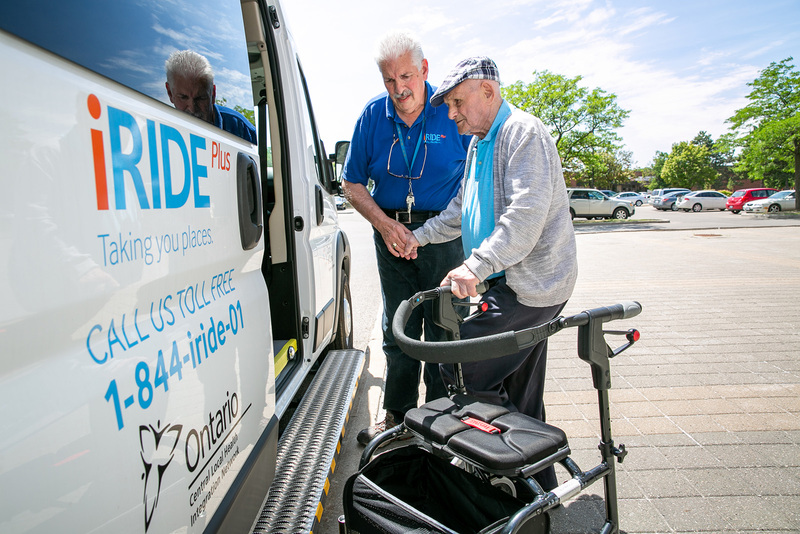 iRide Plus, our government-subsidized transportation service, helps older adults or people with mobility issues get around safely and affordably. 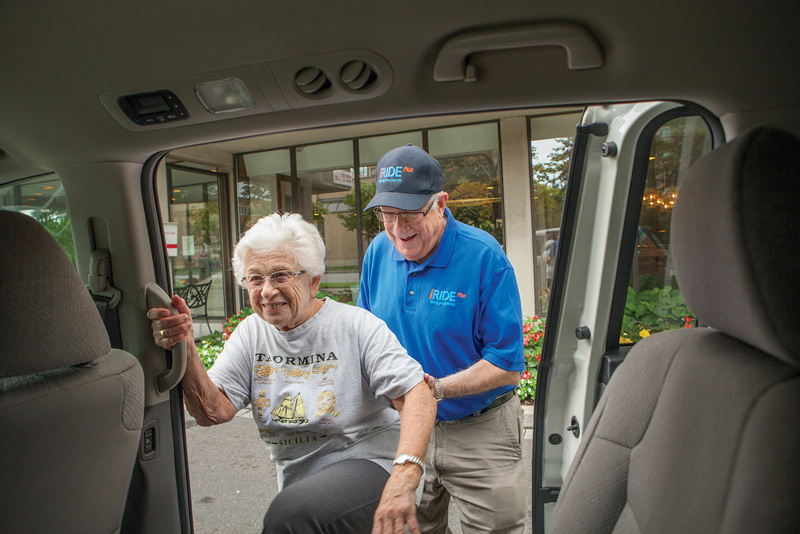 Our friendly, trained drivers will drop you off and pick you up in clean, comfortable vehicles. Our transportation service area spans from John Street in the north to St Clair Ave W. in the south, and from Dufferin St. in the west to the Don Valley Parkway on the east. Service also extends to downtown Toronto hospitals. Scheduled rides take place between Monday to Friday, from 7 a.m. to 5:30 p.m. Weekend and evening rides are available upon request. Fares are based on distance – no running meter. 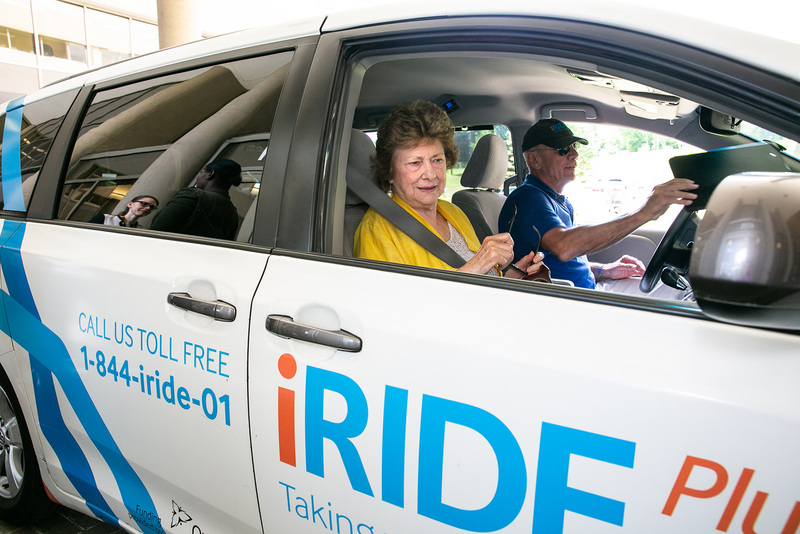 To book a ride, call 1-844-474-3301 Monday to Friday from 8:30 a.m. to 5:30 p.m or go to www.irideplus.com and select the “Request a Ride” tab. In some cases, volunteers may be available to accompany clients to medical appointments.